Choosing a color palette for an interior space can be a challenge – especially if you’re like me and there aren’t too many colors you dislike! Sometimes, a little inspiration can go a long way. I wanted to share a website with you called Design Seeds. On her site, Jessica creates color palettes based on photographs. 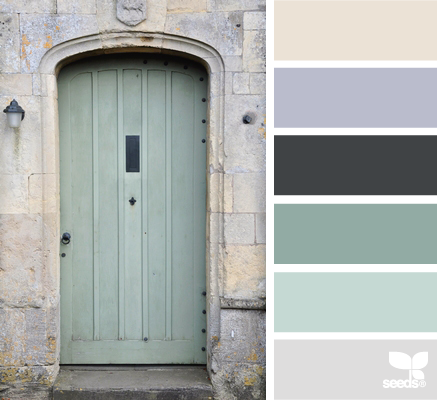 While the colors do not directly correlate to any particular paint manufacturer, you can use these color groups as inspiration for your next decorating project! You can search the site by color or theme, so if you are looking for something in particular, that is a great way to start. But, if you have a few minutes to spare, I highly recommend just browsing through the last several weeks of color palettes to be inspired. If you find a color you love, match it up to a color by your favorite paint company and give it a try. Even if you don’t find the exact color for your space on the site, you may be inspired to mix colors in a new and exciting way. Enjoy!